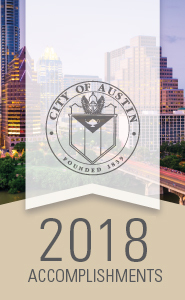 The City of Austin operates under a Council-Manager form of government whereby the elected City Council sets policy objectives and the City Manager ensures they are carried out and administered effectively. This form of government can be likened to the private sector relationship between a board of a corporation and its Chief Executive or Chief Administrative Officer. Spencer Cronk joined the City of Austin as City Manager on February 12, 2018, following a vote by City Council formalizing his appointment. The City Manager is one of four employees directly appointed by the City Council, and oversees the City’s $3.9 billion budget and more than 14,000 employees. 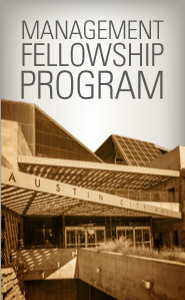 Cronk comes to the City of Austin from Minneapolis, where he has worked as City Coordinator since 2014. He previously served as Commissioner of the Minnesota Department of Administration, chair of the Minnesota Public Data Governance Advisory Committee, and member of the Environmental Quality Board and Minnesota Indian Affairs Council. Before joining the State of Minnesota, Cronk served as executive director of organizational development and senior advisor for the Department of Small Business Services for the City of New York, under former Mayor Michael Bloomberg. Cronk received his bachelor’s degree with honors from the University of Wisconsin–Madison. He is a graduate of Harvard University’s Senior Executives in State and Local Government Program and was a Public Affairs Fellow with the Coro New York Leadership Center.